Our skin gets tired and overworked from the daily beating it takes. Sometimes, it’s just not enough to just cleanse, tone and moisturize. Sometimes your skin craves and deserves a little bit more attention. This is where the facials come in. A facial helps treat your skin's problems, whatever your skin type: oily, acne, sensitive, mature or dry - giving you immediate results. 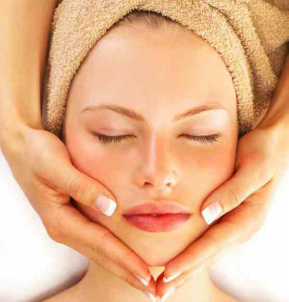 Research shows that regular facials come with numerous benefits both on a physical and psychological plane, helping to cleanse, hydrate, detoxify, moisturize and rejuvenate your skin. 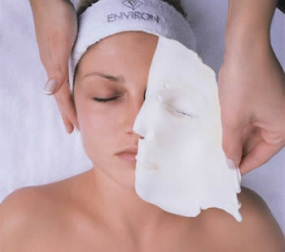 "Facials help maintain the oil-moisture balance of the skin, along with the acid-alkali balance. And since facials aid in the toning of both skin and muscles, it also doubles up as an effective anti-ager, when done on a regular basis, ideally once every month beyond the age of 30. Besides, it helps relax every muscle on the face and neck, bringing about a soothing effect." 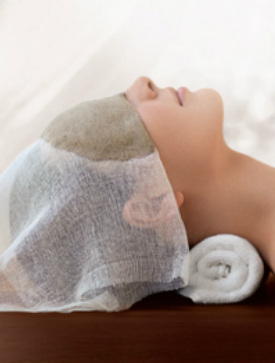 If you've never had a facial before there is no tome like the present! So lie back and relax...your in good hands. Welcome to the world of Decleor Inspired by a rare combination of the energy of essential oils and the concentrate of natural active ingredients in our treatments and masks, our rituals provide effectiveness that heightens an exquisite sensation of well-being. 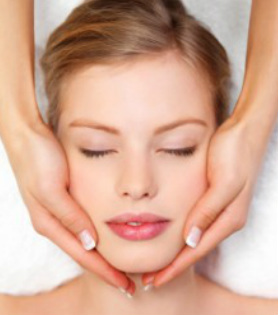 Experience a rejuvenating pressure point and lymph drainage massage, benefiting your mind body and spirit. Includes cleanse, tone, steam mask and moisturise. Ideal for teenage skin. A multi-vitamin treatment tailored to your skin type, giving a "natural beauty booster" rejuvenating your skin. Comforts, nourishes and relaxes with 100% natural flax, wheat germ & sunflower seeds. Balances, purifies and refines the skin’s texture with aquatic plant extracts and active essential oils of Ylang Ylang, Geranium and Rosemary for oily to combination skin. Intensely replenishes, quenches the skin’s thirst and immediately relaxes with pure fruit and floral extracts and active essential oils of Néroli, Petit Grain and Sandalwood for dehydrated skin. Nourishes, comforts and strengthens with grain clusters, plant milks and active essential oils of Angelica, Camomile and Geranium. For skin in need of comfort, this deeply nourishing facial immediately replenishes lost oils to restore a smooth appearance to the driest skin. Soothes, calms and softens with liquorice derivatives, blueberry extracts and active essential oils of Rose, Neroli and Camomile. 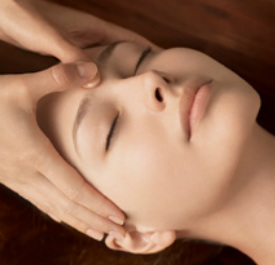 For the most sensitive skin, this wonderfully calming facial brings immediate comfort to stressed skin, reducing redness and leaving your skin soothed and relaxed. This ultimate anti-ageing facial combines the power of Perfector non-surgical face lift with Decleor's high performance alpha+ with AHA's to dramatically smooth and tighten your skin. Everyone is talking about Medical Needling, also known as Collagen Stimualtion therapy. This revolutionary new treatment harnesses the body’s natural powers of healing to repair damaged skin and achieves incredible results never before seen in-salon. Needling is especially effective for sun damage, lines and wrinkles, acne scarring, slackened skin, stretch marks, uneven skin tone and thread veins. Increased collagen and elastin, naturallyDuring this painless treatment, the Medical Roll-CIT™, from Environ Skincare, is used to create thousands of microscopic channels in the epidermis. This creates a minimal amount of bleeding that releases a cascade of growth factors, which is a natural healing response to inflammation and results in increased collagen and elastin production. Delivering dramatic results, lasting up to 7 years. 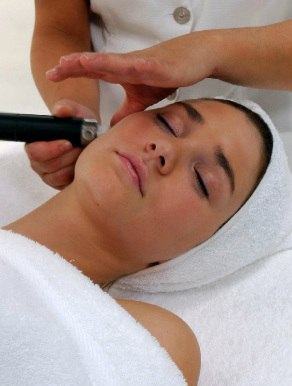 THIS Facial treatment using IPL works by emitting a high energy light to improve the colour and texture of your skin, providing fantastic results in treating: acne scarring, facial thread vains, pigmentation and sun damage. IPL treatment can be used to visibly reduce the effects of ageing and the damage caused by sun exposure, trauma, illness and other lifestyle factors.The IPL (Intense Pulsed Light) system regenerates the skin by stimulating the production of collagen over a period of time. 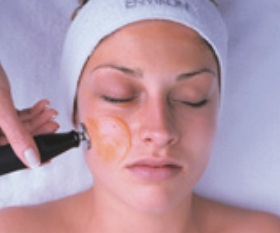 This improves the skin's elasticity, texture and can aid in reducing wrinkles. 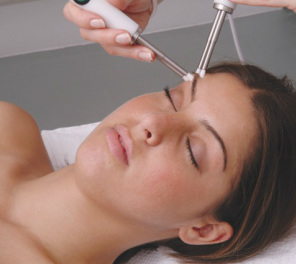 IPL can also be used to treat a variety of skin conditions including rosacea. It can treat cracked thread veins and broken blood vessels in the face and elsewhere on the body and it is very effective at removing unwanted hair.